First things first, we are NOT calling interior designers mean spirited. Of course they don't want you to know their top tips and tricks, or why would you need them? But we think they can spare a measly six, just to help you get started on revamping your home while you save up to hire them for your bigger projects! 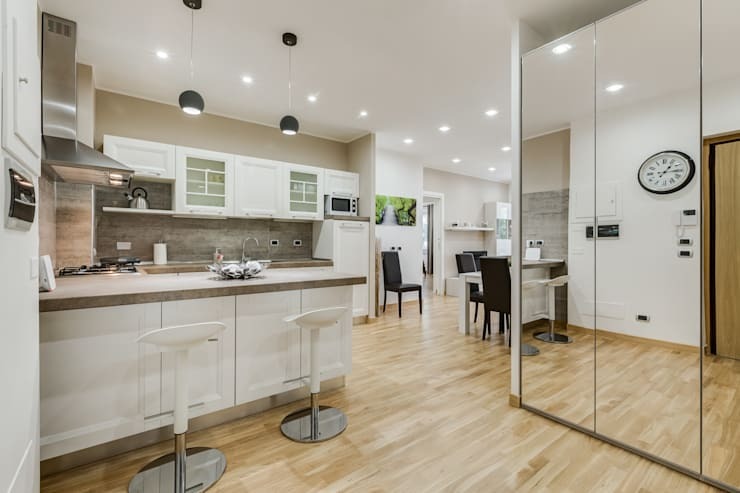 From pokey bathroom problems through to cramped bedrooms, we have some top tips that will see a tiny home feeling much larger, without the need for an extension! If you're ready to start thinking more outside your boxy home, then let's get started! 1. A mirrored wall will make a small space feel double the size. Adding a full wall of mirrored panels to your room will make it feel literally twice the size! We think that having added storage behind the mirrored panels will really double the benefit! 2. Pale floors are the best way to keep a room feeling airy. Think about how much of your room is taken up by flooring and suddenly, in a small room, it makes perfect sense that it should be kept pale! A light natural wood or white finish will be best, as it will help to reflect light around. 3. 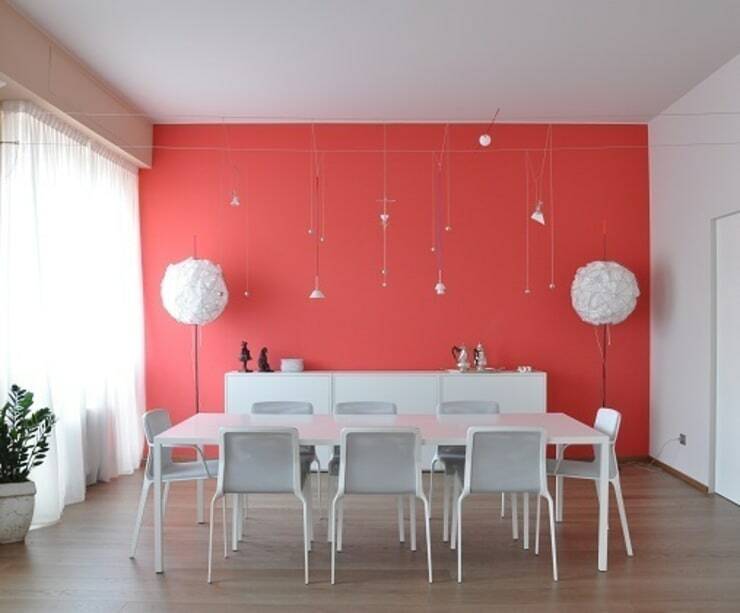 Colour can be used to enlarge your spaces. Things are getting technical now! In a small room, the wall that is furthest away from the door can be painted in a darker colour to the others, in order to create a false sense of proportion. Naturally, the room will feel longer and deeper. Clever! 4. Vertical lines are great for adding perceived height. If you have a tiny room, for example, a bathroom under your stairs, you can make it feel far larger by decorating with vertical stripes. It'll instantly seem as though the space gained a few feet in height! 5. Sky blue hues will make a small room feel much bigger. For bedrooms that feel a bit squashed and cramped, it's highly recommended that you decorate with blue tones, or a variation on them, as your brain will naturally think of the sky and make the connection that the room itself must be larger. 6. Use clever wallpaper to create extra 'rooms'. 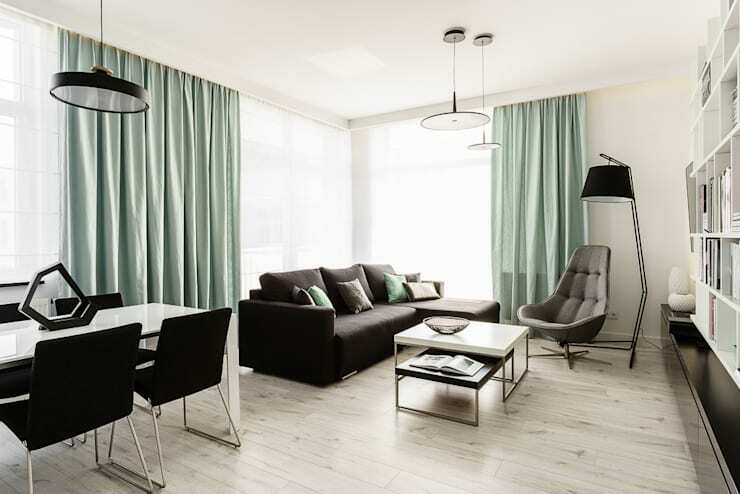 We think this tip is great for a studio apartment! 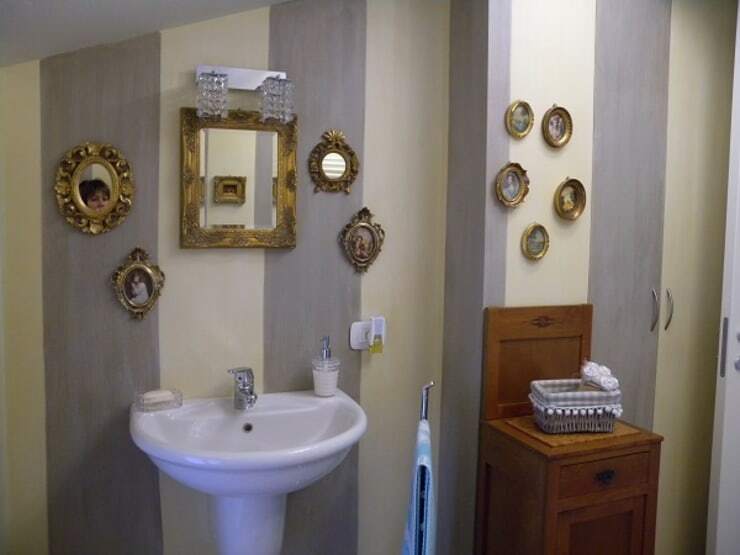 When you only have one small room, create the illusion of others by using optical illusion wallpaper. How cool does this example look? That could be in your home too! For more small home advice, take a look at this Ideabook: Innovative Furniture for a Small Family Home. Which of these techniques will you be trying?